I've gotten current Angel Kevin Frandsen's autograph several times in spring training with the San Francisco Giants and maybe once in 2009 when he was with Fresno Grizzlies [when the team was playing in Las Vegas] - so I guess I knew who he was before being acquired by the Angels. 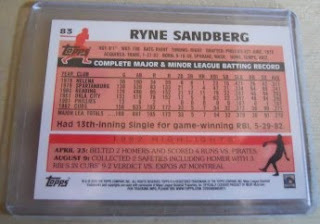 However, after being a waiver wire claim from the Boston Red Sox earlier in the year, Frandsen may have emerged as a semi-regular in Anaheim - with a gaudy .352 batting average [nice to look at, not likely to last] in 91 at-bats so far. Several years ago, the Giants were looking to get Frandsen into their starting lineup, but I think an injury wiped him out for a whole season - and he had to work his way back to the Major Leagues. Between the nicks and dings suffered by Maicer Izturis and the injury suffered by Erick Aybar in 2010 - the Angels have had to move Brandon Wood [the once heralded uber power-hitting prospect of the organization is floundering] to shortstop, allowing Frandsen to get some playing time at third base. As an Angels' fan, I've noticed if a guy is going to be called up to the 'varsity' team in Anaheim - Manager Mike Scioscia is going to find an opportunity for the player to play a role with the team as opposed to merely have the guy rot on the bench. If Frandsen sticks around, it looks like he'll be another 'scrappy,' guy Angels fans will come to embrace - he reminds me a little of Scott Spiezio, who blossomed as an Angel 10 seasons ago after being a castoff from the another Major League organization. 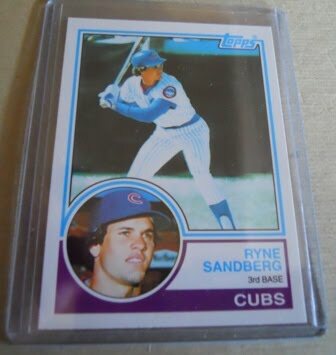 The highlight of my $4 / 20 card splurge at a random card show booth last Saturday was finding a 2010 Topps Ryne Sandberg Cards Your Mom Threw Out insert #CMT32 - original back. Rank and file cards - nothing to get too excited about, but cards I hope to get autographed through the mail or most likely in-person. 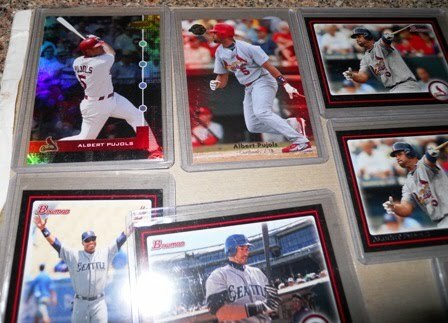 Found some loose cards from the 2010 Upper Deck USA box set - I picked up a box set several months ago, so these are just a few extra cards I hope to get autograph in the near future. Chad Bettis #3 - No. 76 overall to the Colorado Rockies. Drew Pomeranz #13 - No. 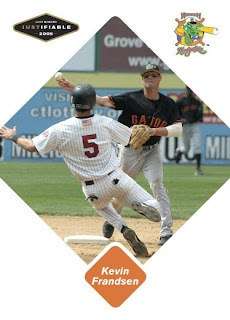 5 overall to the Cleveland Indians [pictured]. At a card show I frequent, I dug through a stack of cards that were a quarter each - I ended up getting 20 cards and was charged $4. 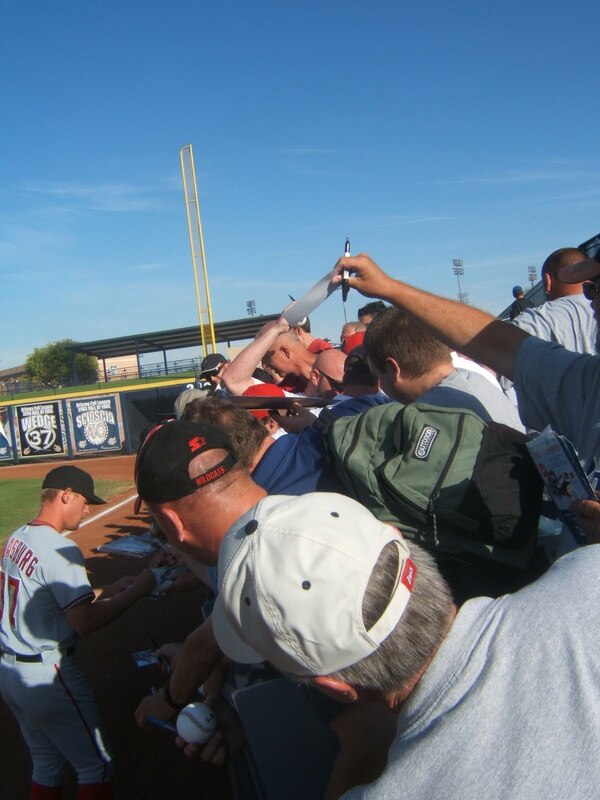 This isn't a recent Stephen Strasburg image, but one I took during the 2009 Arizona Fall League - take a look closer at the nice orderly crowd of adults jockeying to get Strasburg's autograph. Maybe the most refreshing thing to see Tuesday night in Strasburg's Major League debut was he came out and lived up to the hype for one night - not in a pump your chest for everybody to see kind of way, but to simply go out and dominate with zero walks allowed and 14 strikeouts in seven innings kind of way. What wasn't surprising, but perhaps a little depressing is this whole cottage industry - where everyone wants a piece of Strasburg [his $16,000 baseball card], everyone wants a say [maybe the pundits or experts at various 'online outlets,' Baseball America, ESPN, et al] and/or everyone is looking to sell a piece of him [Major League Baseball, Topps]. He has an entire Major League Baseball career infront of him and perhaps he'll be a superstar realized - but there isn't a novelty factor to this guy because everyone basically predicted what he was going to do from the time he signed his first professional contract. Now after his first Major League start along the way - all Strasburg has to do is strikeout 14 or more guys the rest of his starts [throw a no-hitter and/or perfect game, strikeout 20 batters] in 2010 as a tease to what he is going to do when he actually matures as a Major League pitcher. So long Junior - a comeback scenario already being spun? With his bat speed severely diminished and his ability to contribute to a floundering Seattle Mariners squad seemingly shot - it was time for Ken Griffey Jr. to 'man up' and retire. However, it seems harder for professional superstars in all sports to walk away and don't be surprised if there is a buzz of him attempting a potential comeback - even if everyone is paying their tributes and digesting the fact 'The Kid' may no longer roam the Major Leagues as this once happy-go-lucky superstar that had devolved into a shell of himself as he fought through numerous injuries through the 2000s. Perhaps Junior thinks he does have something left - just couldn't get his mojo going, with not being able to play every day and had this recent run of bad luck. It wasn't going to end up pretty with Junior in Seattle and at least Griffey Jr. did not leave the responsibility to the Mariners - of officially parting ways with what has been a sporting icon in the Northwest.